Dana Nelson still loves Vince Reynolds even after twelve long years. She just can’t reconcile that love with the equally strong feelings of bitterness and betrayal that well up in her every time she sees him nowadays. Dana’s dilemma stems from a brief dalliance she caught him at when the two were in college. Of course circumstances for an ongoing relationship were less than ideal. She was in Chapel Hill attending Duke at the time, and he was at NYU, and, well, Vince got caught with a blonde in his bed during a surprise visit by Dana to the Big Apple. But, twelve years have gone by and she finds to her dismay that the intervening time has not cooled her ardor for the dark-eyed hunk. They meet by chance in a small town during the present day and, in a sudden and unexpected close encounter, his hungry lips cover hers with the same old intensity that so stirred her emotions way back then. They break apart after the impulsive embrace and his confession of remorse for his youthful transgression seems sincere. But can she trust him once more with her fragile heart? What if she gives in to her feelings, and he hurts her yet again? 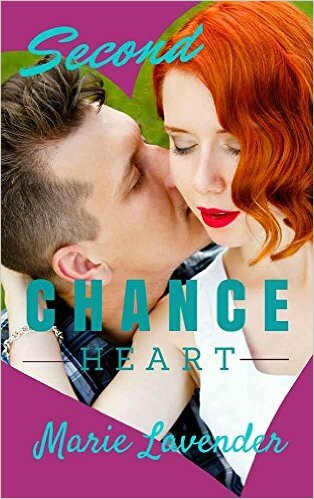 Author Marie Lavender does a masterful job of putting us squarely in the middle of Dana’s turbulent thoughts about her future with Vince, and makes us care deeply for the two central characters in the surprisingly brief narrative that is Second Hand Heart. Their conflicted feelings ring true as they try to find closure on a once-promising romance. Find out what Dana decides to do when the star-crossed pair meet again at the wedding of an old friend. Five stars for this flawless short story. It is brilliantly executed and stands as a testament to the powerful emotions that can be wrung from a reader even in the space of a few well-written pages. Bravo, Ms. Lavender.